Ashley: During the school year my students and I spend almost as many waking hours in our classroom as we do in our homes. Because of this, I set out to create an imaginative, inspiring, and welcoming space in which to spend our days learning. 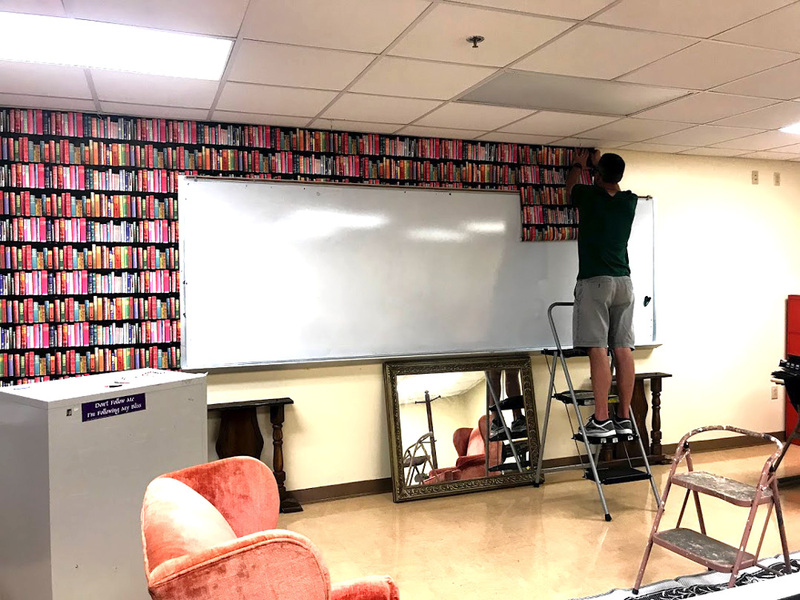 Since I’m a high school English teacher, I wanted my classroom design to reflect and encourage a love of reading and writing. 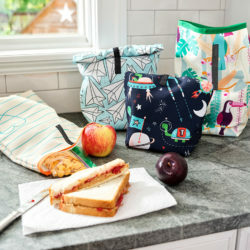 As I was brainstorming what this design might look like, I came across this stunning book pattern by Magenta Rose Designs on Spoonflower. From the moment I saw it, I knew this would be the lead piece that would set the tone for my classroom decorations. You can tell from my moodboard that this pattern influences the rest of my classroom décor choices. 1. 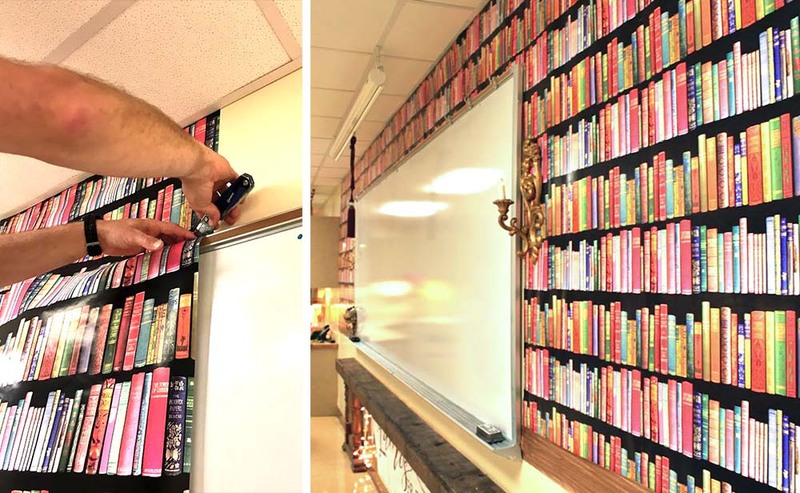 Check your school’s Fire Marshal codes to ensure that you can create a focal wall out of paper. 2. Measure the area that you want to cover and calculate the square footage you will need for your project (length x width). I highly recommend creating a focal wall in a low traffic area. To save on cost, also consider choosing a wall that needs less coverage. I chose my whiteboard wall because the whiteboard takes up a large area of this space. Each roll of wrapping paper covers almost 13 square feet, so I needed six rolls of paper for this project. 3. 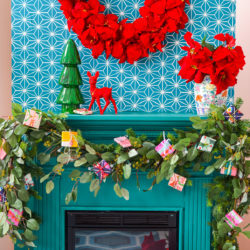 Purchase a wrapping paper design with a vertical pattern rather than horizontal. You can still achieve this look with horizontal patterns, but you will most likely need an assistant because hanging across rather than up and down requires more than two hands and is a lot more work. 4. Start in the left corner of the room and staple the paper on the left top corner. If you have cinder block walls, you can use a dab of hot glue or poster putty to attach your paper. You will simply let the paper unroll down the wall. 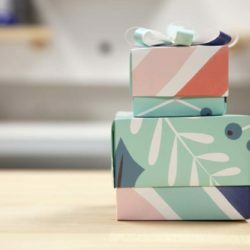 Spoonflower’s wrapping paper is extremely thick and durable, so don’t worry too much about it ripping as it unrolls. 5. Next, make sure the paper looks level and pull the right corner tightly then staple it. 6. 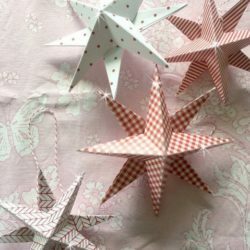 From here, you can either use double-sided tape along the back edges of the paper, or do like I did, and keep stapling it down the sides. If the staple marks bother you, you can use a marker to color them so that they blend in more with the paper. Remember that you can use dabs of hot glue or poster putty on cinder block walls. Be sure to run your hand over the paper before stapling or taping so that you get the wrinkles out of it before securing the edges. 7. When you run out of a roll, you will then overlap the second roll slightly and repeat the process. 8. When you run into an obstacle, use a razor blade to carefully cut along the edges of the space you need to cut out. I had my husband help me with this part since being tall is an advantage when working close to the ceiling. 9. Optional: create an edging to end the focal wall. Since my focal wall only went half way down the wall, I used woodgrain contact paper to create an edge that ended it. I think this will also help secure the wrapping paper overlaps since those lines run vertically and the border runs horizontally. All in all, this project was very simple and only took around two hours to compete. For two hours and a few $15 rolls of wrapping paper, I made a huge impact in my classroom. 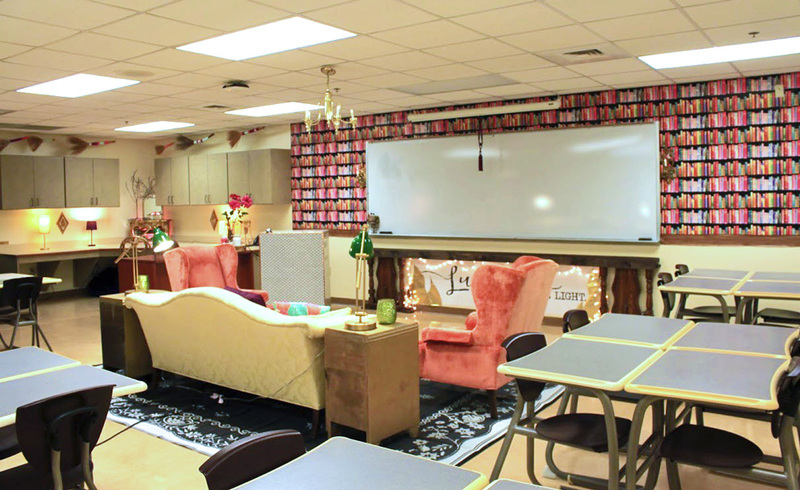 If you would like to learn more about how to create a classroom design and floor plan, I have a classroom design challenge going on over on my blog! 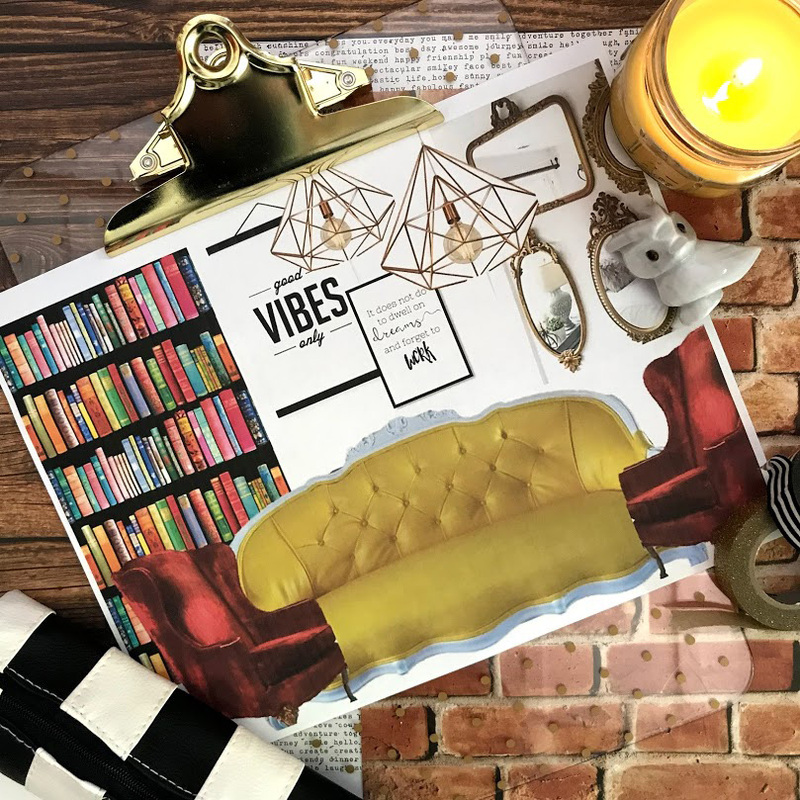 Now that you’ve “checked out” Ashley’s easy DIY project, recreate the look for your classroom with a library inspired design from the Marketplace. 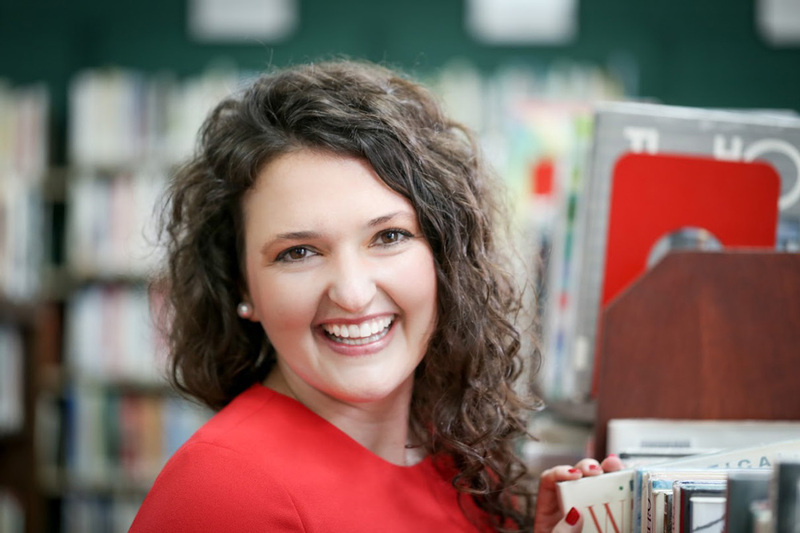 When she’s not working as an amateur interior designer, Ashley Bible can be found teaching English literature in East Tennessee and writing creative lesson plans which she shares on her blog at Building Book Love. 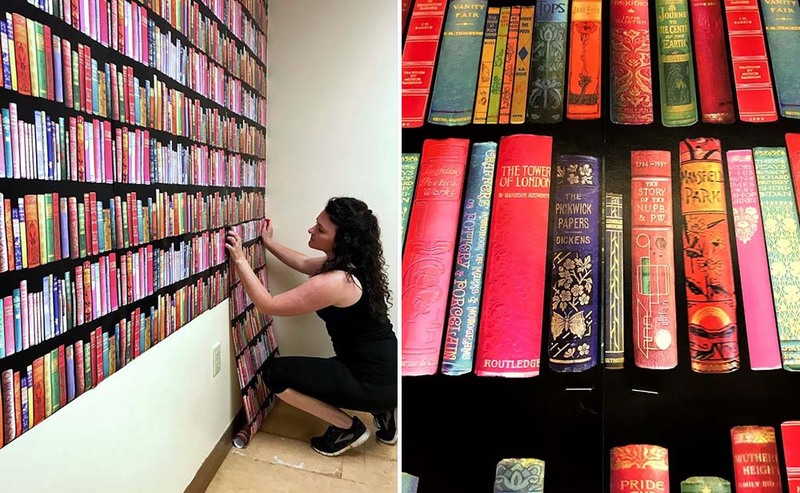 For an extra peek inside her classroom, follow Ashley on her Instagram account, @buildingbooklove. So totally AWESOME Ashley! 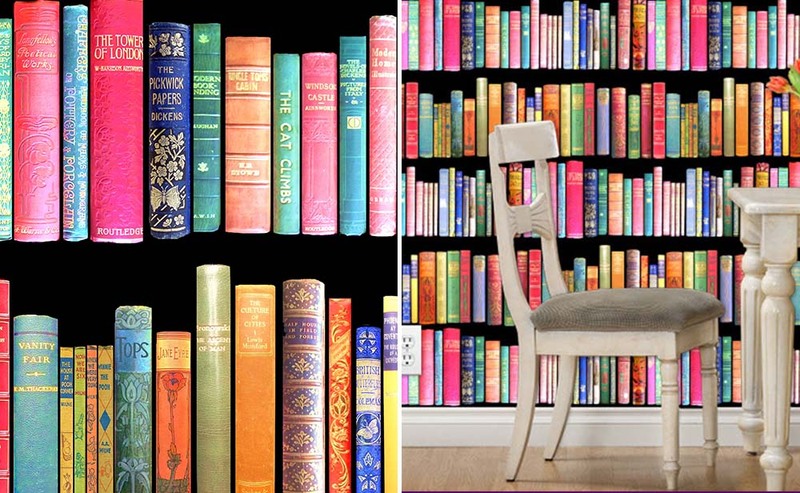 Thanks so much for using my vintage book design and for writing such a wonderful blog post! 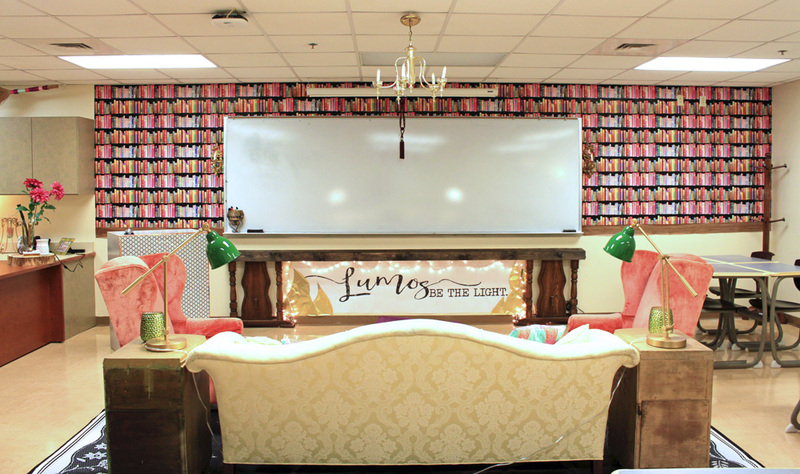 This is the most amazing classroom, ever!